Real Madrid president Florentino Perez has insisted that there are no problems between the Blancos squad and head coach Jose Mourinho. Reports from Spain earlier on Thursday suggested that the Madrid squad, led by captains Iker Casillas and Sergio Ramos, had told Perez to make a choice between Jose Mourinho and the players during a meeting on Tuesday, but the club president has insisted that the team is united. 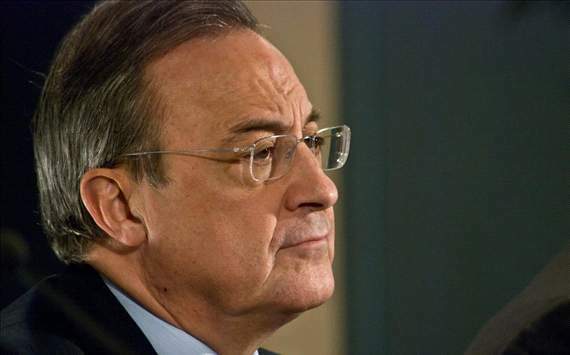 “I break my rule not to speak to the press about the club’s day-by-day business due to the seriousness of the allegations published by Marca,” Perez said at a press conference. “I’m not here to talk about Iker, only to deny the information that has come out this morning. I haven’t spoken to Jose Mourinho, I came here of my own accord. They cannot play with an institution like Real Madrid. “It is absolutely false that the captains said anything negative about the coach. No ultimatum was issued by Casillas or Ramos. The level of responsibility of the captains is incompatible with this information. “The information published today [Thursday] is a pure lie and it’s a serious attack against the club. I have a lot of respect for the press and I always listen to criticism, regardless of whether I think it’s fair or not. Mourinho already voiced his dismay with the way he’s being treated in the press earlier this week when he stated that people are trying to create controversies that don’t exist.